Always reminded me of Dustbin when I saw them in Grey, the red is different, and ex fire truck? That makes a great taco truck! 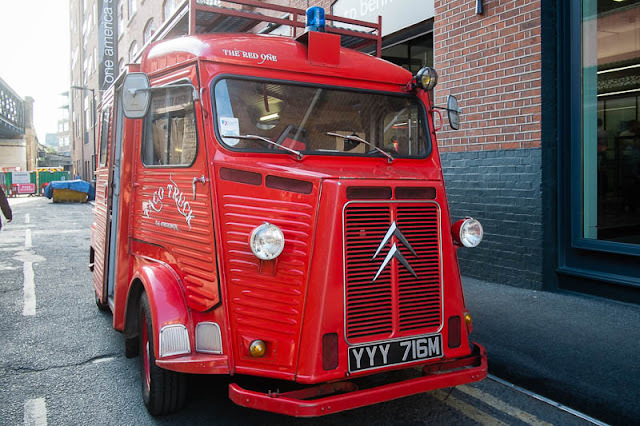 Beautiful, these old Citroen vans are becoming very popular as snack wagons. Love the colour too.